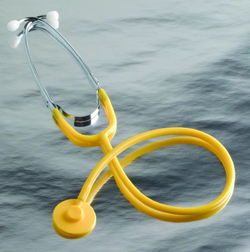 Disposable Proscope Stethoscope, 22 inch tube, single-sided chest piece. 22 inch tube-disposable, without bell. Single lumen-1 pair PVC ear tips.